Dr.Malpani's Blog: Please don't abandon your embryos. Many young IVF patients have extra embryos which we can freeze, and we strongly recommend that they routinely freeze these embryos. This is a decision they need to make when we transfer their fresh embryos for them, but lots of patients aren't sure about whether they should spend the extra money need to freeze their embryos, because they are's sure about the value of doing so. This is true for multiple reasons. For one, if they have high quality embryos, they are so hopeful that they will get pregnant in the fresh cycle, that they do not see the need to freeze their embryos. Others still believe that frozen embryos aren't as good as fresh embryos , and that the success rate with these is poorer , because they do not survive the thaw. This is partly because the technology in the past for freezing embryos wasn't very good, and when we used the older slow freeze and thaw techniques, about 50 percent of embryos would die. However, this has now dramatically changed , thanks to vitrification (http://blog.drmalpani.com/2014/09/the-magic-of-vitrifying-ivf-embryos.html) . In an expert's hands, survival rates after freezing and thawing are nearly hundred percent. Even better, the implantation rate of thawed embryos is actually better than it is for fresh zygotes, because endometrial preparation is far more optimal. This means that every frozen embryo is worth its weight in gold, because it has such a potential to implant and become a baby, especially when it is a blastocyst. However, a lot of patients don't freeze their embryos, even though we encourage them to do so. In sense , they are abandoning their embryos, which is such a huge shame, because they are potentially throwing away their chances of having a baby. Part of this reluctance is because it's an additional cost, and it's perhaps a cost which they were not prepared for. I always tell them that a bird in the hand is worth two in the bush - and if you get a bonus, you should take it. A frozen embryo is a great insurance policy, and transferring frozen embryos is much less expensive and much easier than doing another fresh cycle, which means it is a very cost effective option. Even if they do get pregnant in the fresh cycle ( something we can never predict) , their frozen embryos and still very valuable , in case they miscarry. And even if the fresh transfer does result in a baby, they can still use that frozen embryo for completing their family after a year or 2. 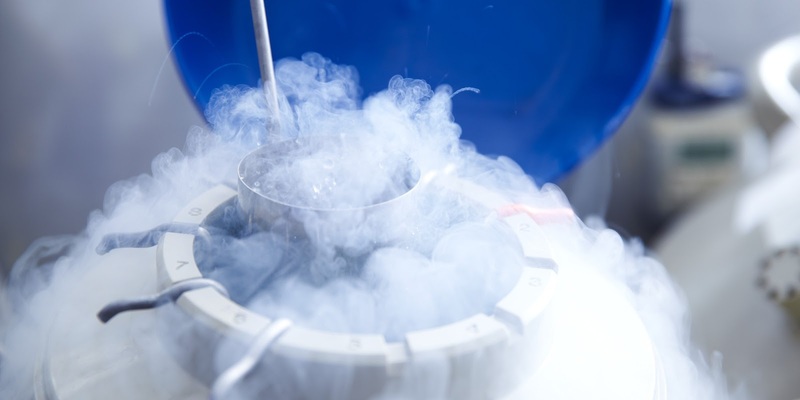 If you are lucky enough and do have high quality blastocysts to freeze , please make sure that you vitrify them. It's well worth the additional cost !